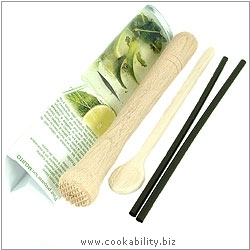 Complete kit to make your own Mojito. Complete with Mojito Muddle and cocktail spoon. You will need to supply the ingredients. Recipe included.